The whole point of using a productivity suite is to be, well… productive. And the more time you invest in performing repetitive or complex processes, the less productive and creative you become. The iWork suite of applications are designed to eliminate the drudgery, with elements, tools, and media libraries, shared by every application in the suite. 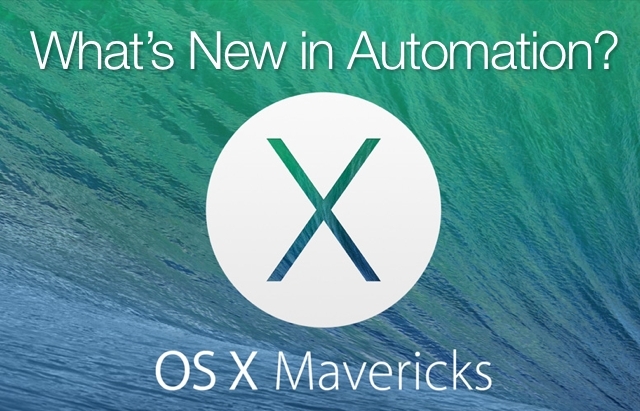 And now there’s one more thing they have in common on OS X: automation with AppleScript and Automator. Speed. It takes less time to accomplish complex multi-step procedures. Accuracy. With automation, the chances of making mistakes because of human error are minimized. Consistency. Automation produces data of reliable quality. Scalability. If you want to do more, in a shorter time, while maintaining quality, automation is the best way to expand your business. Using automation frees you from the “grunge work,” to focus on the creative and analytical aspects of what you do — you know, that stuff you were actually hired and like to do! And when it comes to automating, AppleScript is your best friend. So, if you are currently using another productivity suite and are interested in learning about the unique features of the iWork suite of applications; or are an iWork user who wants to take the suite to the next level of functionality; automating iWork with AppleScript is something you really should explore. What is covered in this overview of iWork AppleScript support? The following pages describe and demonstrate how AppleScript can be used to access, query, control, make, style, and delete the elements of the iWork applications, with specific focus on enabling and creating workflows that span the applications of OS X and the iWork suite. If you are familiar with AppleScript — great. If not, no problem. You can easily pick up this unique English-like scripting language from the tutorials on this website, or from reading one of the many great AppleScript books on the subject, including Apple’s own AppleScript 1-2-3. 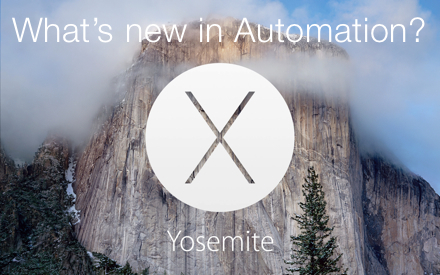 And everything you need to automate Numbers with AppleScript is already installed in OS X. For starters, all of the example scripts on these pages can be viewed in the AppleScript Editor application (which can be found in your Utilities folder) automatically, by just clicking the Open in AppleScript Editor button located above each of the example scripts, that are placed inline throughout the documentation on this site. New to iworkautomation.com? Watch this short video to learn what this site contains and how to navigate its content. Enjoy! 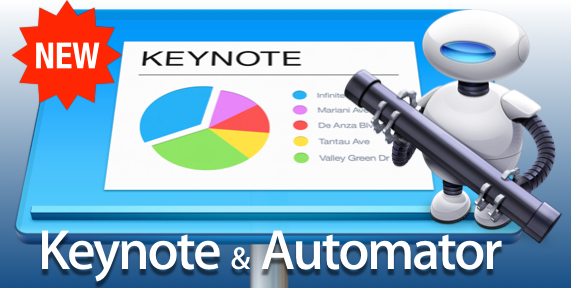 10-16-14 • Keynote & Automator website. 10-01-14 • This website now supports HTTPS! Click the lock icon in the top left to switch to SSL secure viewing. 04-18-14 • Added Image Slides from Files. 04-18-14 • Added Start Here video.